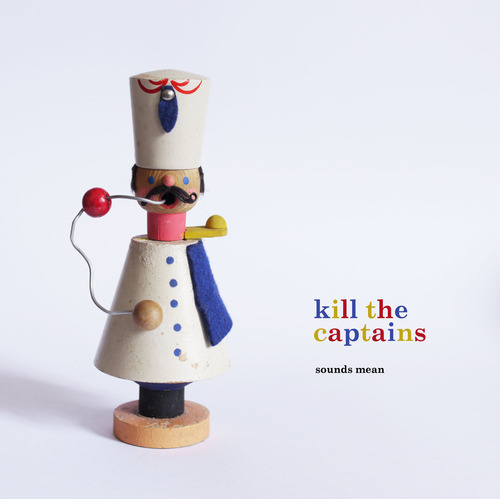 Armellodie Records is proud to present Sounds Mean, the second full-length album from Sheffield’s best kept secret, Kill The Captains . 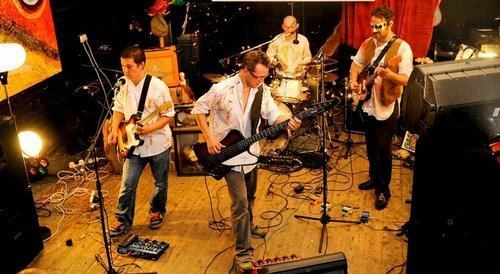 Leon Carter (Vocals, Guitar), Ric Booth (Guitar, Vocals), Giles Robinson (Bass) and Paul Collins (Drums) are the honourable Captains. Sounds Mean sees the band ramp up their brand of new-wave pop and suspense-filled rock’n’roll with shout-along choruses, fizzing dual-guitars and propulsive rhythmic skulduggery. Following on from 2010’s well received debut (Fun Anxiety), on Sounds Mean the band take to exploring such themes as dance floor puppet masters, sado-masochistic rumpy pumpy, corporate greed and - shrouded in geo-political metaphor – love. The album is released on Monday 12th August on 180 gram Vinyl (including CD), you can Pre-order that little beauty right HERE. If you need a little more enticing then you can grab the single, ‘Disco Nazi’ for absolutely nowt right HERE and why not watch the accompanying VIDEO too.